Lenovo Z50-70 15.6" Business Laptop Intel Core i7-4510U 12GB RAM 1 TB + 8GB SSD. 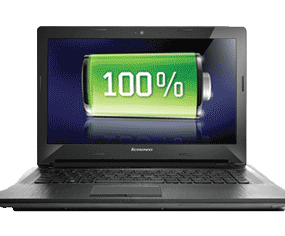 This superb laptop is engineered to cater your business needs. Packed with all the latest and most advanced features this laptop gives you an outstanding performance in everything you do on it. It is powered by Intel 4th generation core processor, which gives you increased performance with more responsiveness. Lenovo Z50 is an ideal business Laptop, packed with powerful 4th Generation Intel Core i7-4510U processor it gives you outstanding results in multitasking. It offers you 15% faster CPU performance than previous generation processor plus it also features battery jump and power reduction. Optimized to work with Windows 8.1 it gives you more productivity. It allows you to access all your favourite apps, sites and people right from the start screen. Bring your pictures and games to life with its optional Full-HD (1920 x 1080) display. Its 15.6-inch Full-HD Display is the most useful feature of this laptop as all applications are optimized for this resolution. Lenovo Z50 is equipped with NVIDIA GeForce 840M 2GB graphics which allows you to enjoy movies in HD and enables you to get smooth movie playback. In order to give you ample storage for storing all your fi9les and data, Lenovo has equipped Z50 with 8 GB of fast DDR3L memory and up to 1 TB of Solid State Drive (SSHD) storage. SSD reduces startup and shutdown time of your laptop. Plus, it also allows you faster access of files with faster application loading. It features high capacity battery which gives you up to four hours of productivity before it needs to be topped up. So take your office on the go with you and get unstoppable productivity with its long lasting battery. 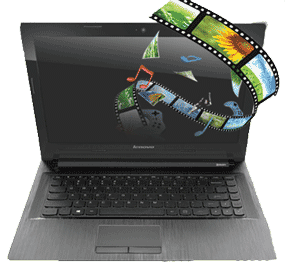 Have a great audio experience on your Lenovo Z50 laptop. 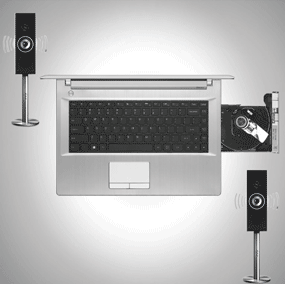 With exclusive tools of Dolby Home Theatre you can experience cinematic surround sound on your PC. Invite your friends over and enjoy your favourite movies in clear cinematic surround sound. With its multiple options of wireless connectivity you can easily connect to your world. It features built-in 802.11 a/c or 802.11b/g/n Wi-Fi adapter which enables you to enjoy internet connection even at public network. Bluetooth 4.0 also allows you to transfer your files wirelessly. It lets you share your data with multiple mobile devices within a specific range. Give a boost to your video conferencing with its built in HD webcam. Its 720p resolution camera delivers crystal clear pictures so your friends will be able to look you in good quality pictures. Pictures taken from this camera are so good in quality that they look good even on large screen TV. It features HDMI port which allows you to connect your laptop with HDTV and projectors, ideal for watching your media on big screen. With USB 3.0 it enables you to transfer your data with 10 times faster speeds than USB 2.0. The 2-in-1 (SD/MMC) card reader also makes your data transfer easy and also enhances your storage space. Lenovo allows you to access your files everywhere. Its online storage and Cloud gives you the freedom to choose your device and location. So store all your important files in 5GB of free web storage and make them more secure and easy ton access. 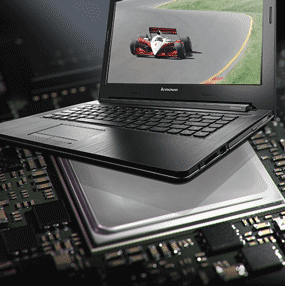 With Lenovo Companion and Lenovo Support you can discover whole new world of computing. These tools also allows you to monitor your systems performance and also guides you in how to take most out of your PC. Lenovo Energy Management 7.0 allows you to choose between three main settings of energy saving, according to your requirements.